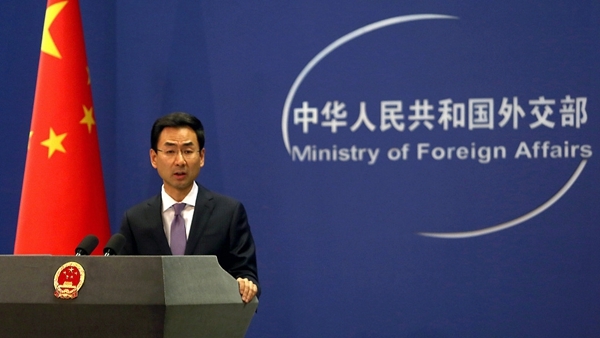 "China strongly urges the U.S side to stop its unreasonable crackdown on Chinese companies, including Huawei, and treat Chinese companies in an objective and fair manner," Chinese Foreign Ministry Spokesperson Geng Shuang said on Tuesday. "China will also firmly defend the lawful and legitimate rights and interests of Chinese enterprises, and we once again urge the U.S. to immediately revoke the arrest warrant for Meng Wanzhou," Geng said. For some time, the U.S. has used state power to discredit and crack down on specific Chinese companies in an attempt to harm the legitimate operations of these enterprises, he added. "There are strong political attempts and political manipulations behind these actions," he stressed. The spokesperson also condemned how the U.S. and Canada are abusing their bilateral extradition treaty and taking unreasonable enforcement measures against Chinese citizens, noting that it is a serious violation of the legitimate rights and interests of Chinese citizens. On Monday, the U.S. Justice Department filed charges against Huawei and its chief financial officer, Meng Wanzhou, for violating U.S. sanctions on Iran. China strongly urges the U.S side to stop its unreasonable crackdown on Chinese companies, including Huawei, and treat Chinese companies in an objective and fair manner.